Welcome to our first update for 2016. We have seen some fantastic updates in the mobile app over December and January. We take you through inventory tracking improvements, registers update and printing a packing slip form or a sales receipt. We have further information in our product update blogs. Find out more about the Android update. Find out more about the iOS update. Find out more about the benefits of mobile apps. 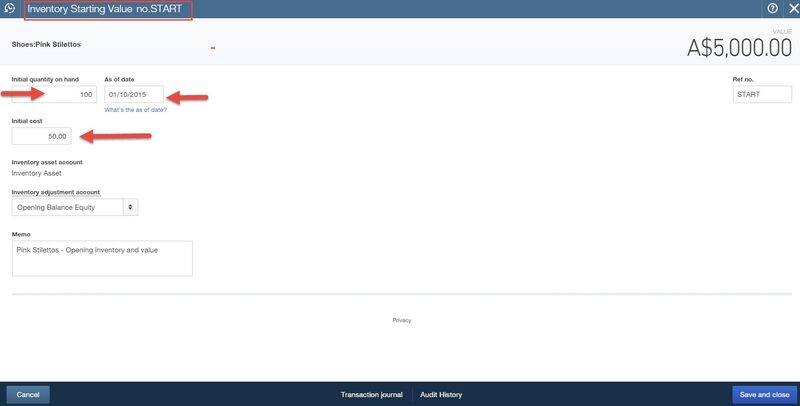 You can now choose to change the new register to a traditional ledger style layout. Once in your register you can get into this from Chart of Accounts > Right hand side drop down menu Account History > Click the settings cog wheel > Tick Paper Ledger Mode. In addition there is now the ability to add a new transaction at the bottom of the list of transactions. From the filter icon click the drop down arrow > The Advanced Search window opens. Under the settings cog wheel you can find the Reconcile and Banking Status view and see if a transaction has been reconciled. 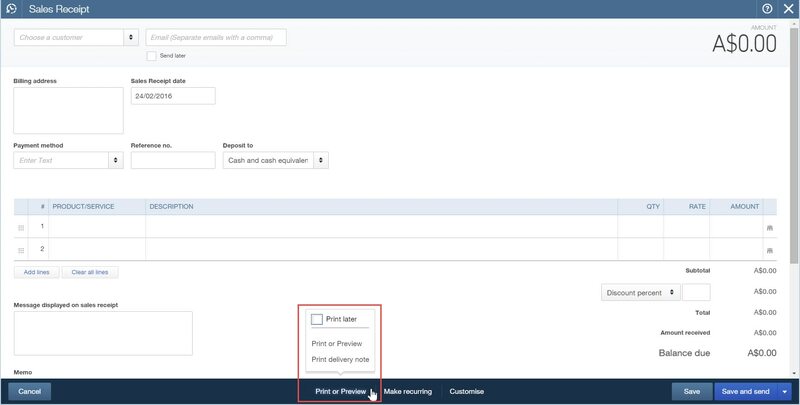 You an now have the ability to print a delivery note from a Sales Receipt, bringing this inline with the same feature found on invoices. 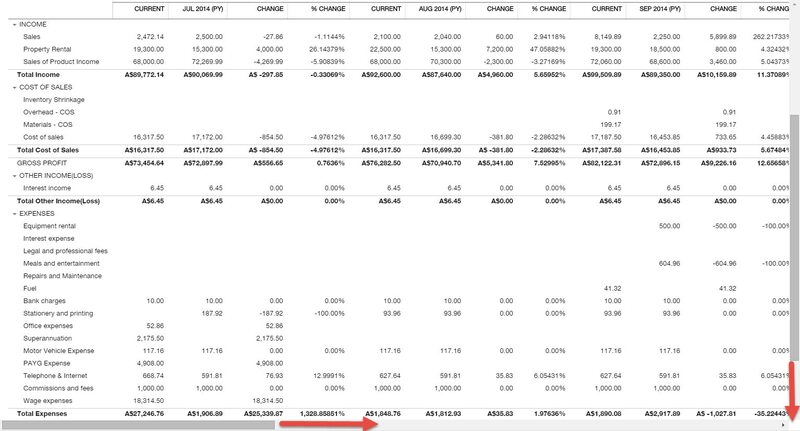 Prior to this update, in the redesigned reports, if there was more columns than the viewing area displayed, the scroll bar appeared at the bottom of the data. On reports with lots of data this caused the user to constantly scroll all the way to the bottom of the date to move right or left in the report. With this update, the scroll bar will hover at the bottom of the viewing area at all times. The first column will now be frozen when the user scrolls to the right, allowing the Description column to be viewed at all times. Starting values are now editable. In the past when a user created an inventory item, and a starting value transaction was created, this transaction could not be edited if a mistake had occurred. With the update the starting value transaction can be edited, along with the inventory start date. This is useful when you need to adjust the start date, initial cost, quantity or inventory adjustment account or inventory item. SKU reports are now available and can be customsied into various reports. Find the line with Inventory Starting Value in the Transaction Type column and click it. The Inventory Starting Value page opens. Make your changes as needed. To change the items inventory asset account, go to the Products and Services page and edit the item. As you can see, some great features were added in February and there are more to come.